Police, Fire and Crime Commissioner Julia Mulligan has named her preferred candidate for the role of interim Chief Fire Officer for North Yorkshire Fire and Rescue Service. 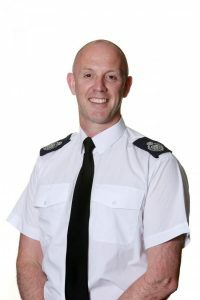 Andrew Brodie has spent the last five years at Leicestershire Fire and Rescue Service on the Senior Management Team as an influential Assistant Chief Fire Officer, helping to develop the service by leading both the Service Support and Service Delivery functions. As well as operating in three, diverse fire and rescue services of London Fire Brigade, Cumbria FRS and Leicestershire FRS, Andrew has a breadth of national experience as lead on the design and structure of National Operational Guidance and lead for the Audit Commission on Fire Policy. The interim Chief Fire Officer role was advertised as a secondment or interim opportunity for up to 12 months for both internal and external candidates. The appointment of Andrew Brodie will now go to the Police, Fire and Crime Panel for their confirmation in the coming weeks.